Sri Lankan cricket’s crisis-ridden governing body announced Sunday it had secured the release of $11.5 million withheld by the International Cricket Council (ICC) for eight months due to a row over its leadership. The ICC froze the funds due to Sri Lanka after the country’s government last year appointed an unelected official to run the sport following a bitter dispute between rival candidates. Sri Lanka Cricket has long been beset by graft allegations and in-fighting, with the ICC recently labelling it the most corrupt cricket administration. Delayed elections were finally held late last month, with Shammi Silva chosen as president. 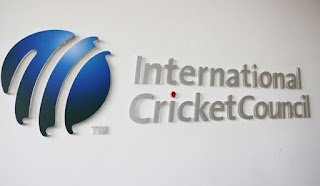 “Sri Lanka Cricket wishes to announce that following high level discussions with the ICC, the new Executive Committee of the SLC has successfully secured its due portion of finances from the ICC,” the governing body said. Former SLC head Thilanga Sumathipala was involved in talks with the ICC last week over the funding, it added. Sumathipala was in power for more than two years until early 2018. He decided not to stand again after a rival challenged his bid for re-election, but backed Silva’s successful candidacy. Sri Lankan cricket has been hit by a series of scandals. Last month batting legend Sanath Jayasuriya was banned from all cricket for two years after admitting to two breaches of the ICC Anti-Corruption Code. Jayasuriya was charged in October after failing to provide his mobile phones to investigators.